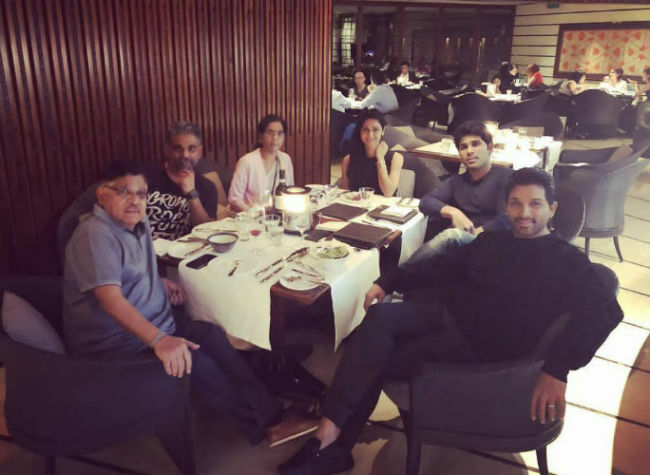 Allu Arjun and his family are holidaying in Singapore. His father, mother, brother Bobby and Allu Sirish, wife Sneha are with him. This year Allu Aravind's production house Geetha Arts gave the hit film 'Geetha Govindam'. They have a good reason to celebrate. Allu Arjun's next film will be with Trivikram. Announcements will be made very soon.